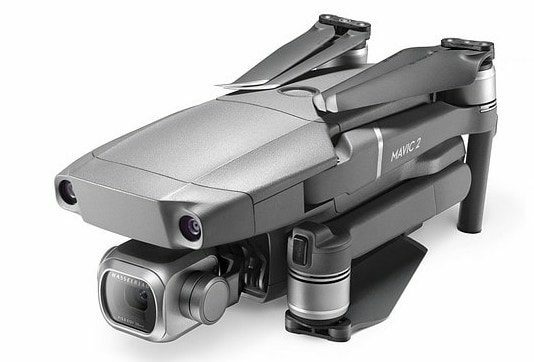 Drone manufacturer DJI has announced the arrival of two new drones to its Dji Mavic series: Mavic 2 Pro, the world's first drone with an integrated Hasselblad camera, and Mavic 2 Zoom, the world's first foldable consumer drone with optical zoom capability. In this review, we will discover everything about the new DJI Mavic Pro 2! DJI hasn’t radically changed the original Mavic Pro’s design, which is fine by us. 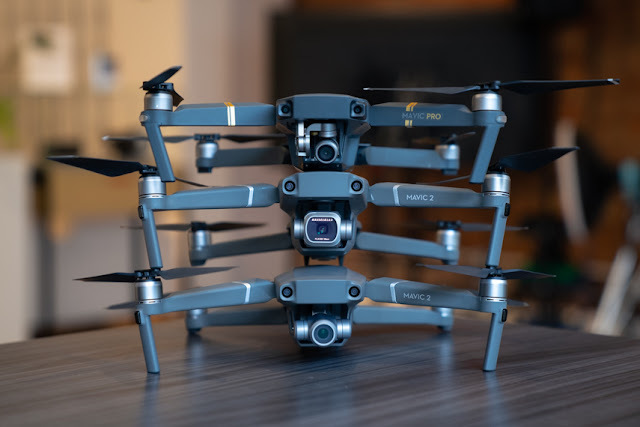 The bodies of the two new models are identical, and are slightly larger than the original Mavic Pro; like the original, they also fold down for easy transport. Both are equipped with omnidirectional sensors that can track the drone’s movements left, right, up, down, forward and backward, utilize a 3-axis mechanical stabilization and feature new auxiliary lights on the bottom to help with landing and flying in low-light situations (like dusk and dawn). A redesigned winglet and new motors make the two drones quieter than earlier models. 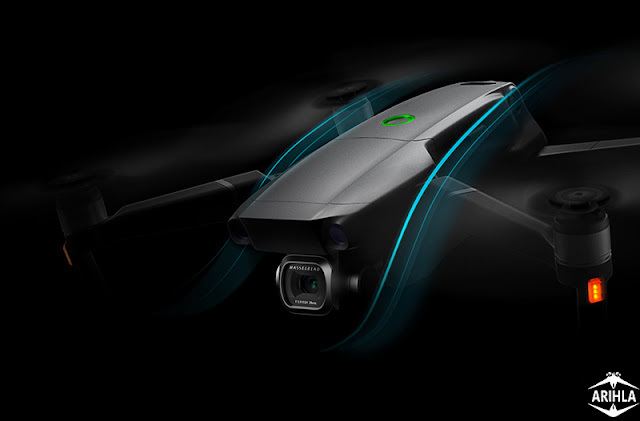 Both drones have the same folding mechanism and color scheme as before, with the only slight change being the smoothing of some the Dji Mavic Pro’s sharp edges. This slightly more aerodynamic form apparently reduces body drag by 19% and helps it reach slightly faster max speeds of 44mph in Sports mode. DJI has long had the best obstacle avoidance tech of any drones we’ve tested and both Mavic 2 drones should improve this further, thanks to the inclusion of ten sensors on all sides. This should come in particularly handy during automated flight modes such as ‘follow me’. The two new Mavic 2 drones are also apparently quieter than their predecessor, with noise-reducing propellers and a quieter propulsion system. That’s good news for anyone who’s found the ‘flying lawnmower’ sound of drones a bit off-putting. Both models can record at a maximum bitrate of 100 Mbps using H.265 compression, include 8GB of internal storage, and can capture 4K video at up to 30fps as well as HD video up to 120fps. Each Mavic has a respectable flight time of 31 minutes. 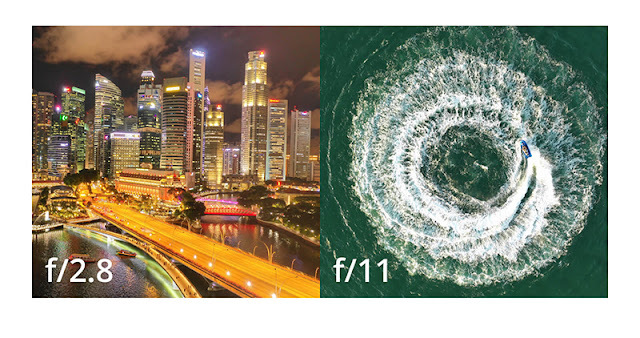 The new drones also feature updated intelligent flight modes like Hyperlapse and ActiveTrack 2.0, which can now avoid obstacles and continuously track subjects thanks to the 10 sensors found on each drone. OcuSync also gets an update and help keeps the controller and the drone in communication— the Mavic 2 drones can transmit 1080p video up to five miles away from the controller. DJI says the algorithms it uses to make the aircraft adjust their flight path to move around obstacles have been improved and the drones now automatically turn on an underside lamp to aid landings in low light. *Omnidirectional Obstacle Sensing includes left/right, up/down, and forward/backward obstacle sense. Sensing for left/right directions is only available in ActiveTrack or Tripod Mode. Omnidirectional Obstacle Sensing does not fully cover the circumference of a 360-degree arc. And left and right obstacle sensing system only works in specific modes and environments. DJI warranty does not cover any loss caused by crashing when flying left or right, even when ActiveTrack or Tripod mode is activated. 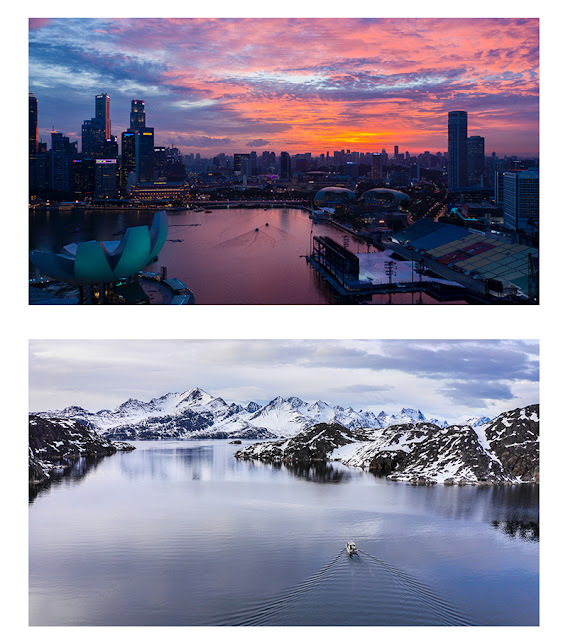 They may both be based on the same design and shoot 4K at 100Mbps but there are big differences between the Mavic 2 Pro and Mavic 2 Zoom’s cameras and sensors. Housing a 1-inch CMOS sensor with a 10-bit Dlog-M color profile, the camera captures four times as many levels of color per channel compared to Mavic Pro to provide maximum flexibility for photo and video editing. 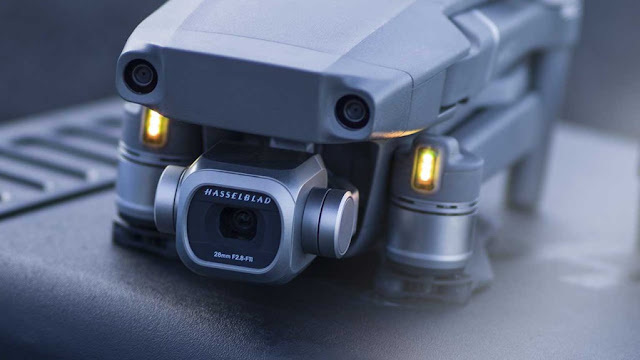 The Mavic 2 Pro can capture 20-megapixel aerial shots with utmost color accuracy using Hasselblad's unique Hasselblad Natural Color Solution (HNCS) technology, while an adjustable aperture from f/2.8-f/11 provides more control across a wide variety of lighting conditions. 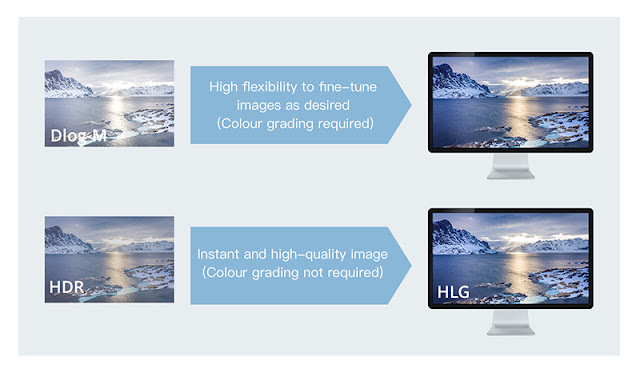 With 4K 10-bit HDR support, the Mavic 2 Pro can be plugged into a 4K TV with HLG and will play back footage with the right color tones. 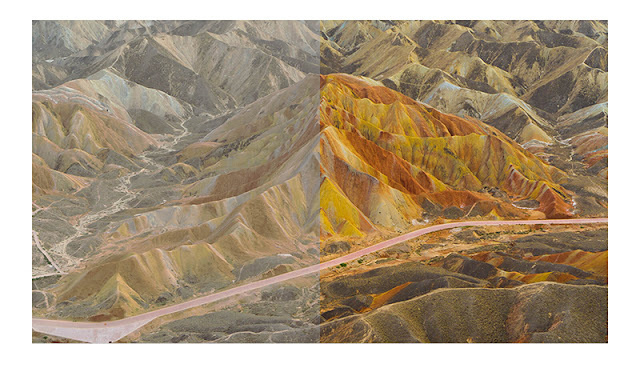 The Dji Mavic 2 Pro supports a 10-bit Dlog-M color profile that yields higher dynamic range for more flexibility in the grading room. The Mavic 2 is the ultimate tool for aerial content creation with new intelligent flight modes that make capturing professional-quality results almost effortless. A new Hyperlapse feature produces establishing shots that show the passing of time, which you can share to social media immediately. 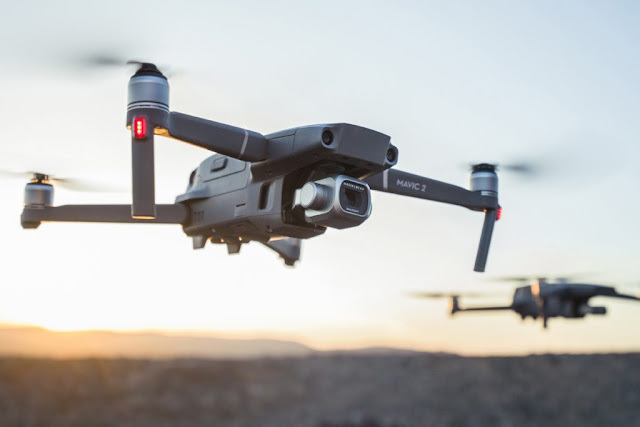 Using the main camera and the front dual vision cameras, the Mavic 2 creates a three-dimensional map of the area in front of it, and uses new trajectory algorithms to analyze motion and predict the subject's path up to three seconds in the future. The Mavic 2 is available starting today, and the Pro model will retail for $1,449. That includes the drone, battery, remote, charger, and four propellers. The Mavic 2 Zoom will set you back slightly less, at $1,249, with the same kit bundled except for the varying camera module. 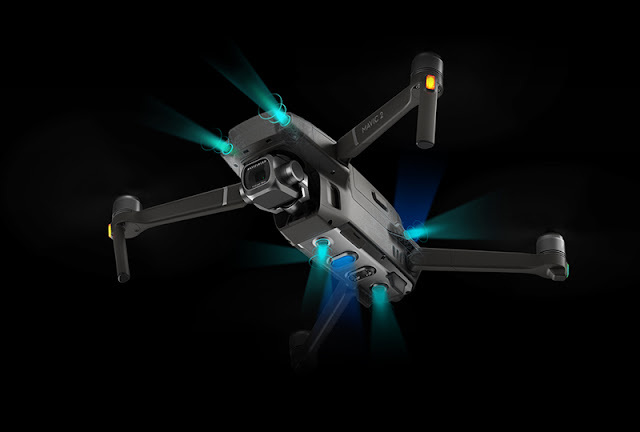 You can purchase the Mavic 2 from the follower retailers.